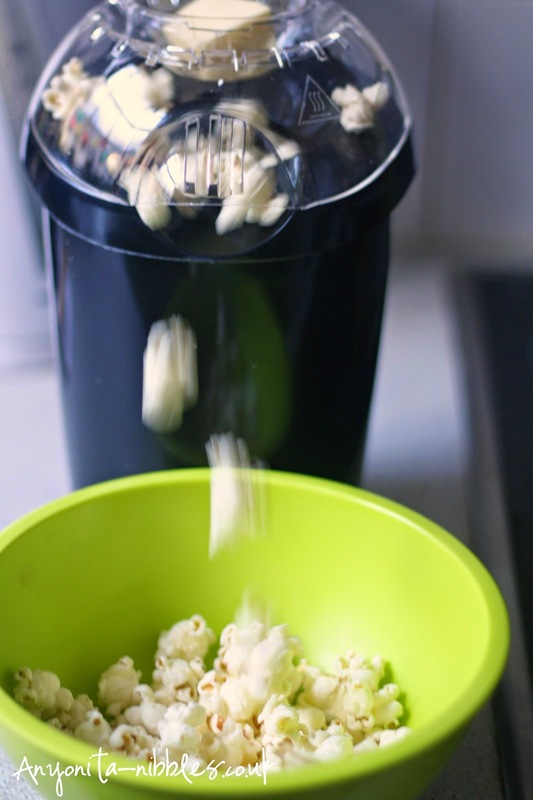 I absolutely adore this popcorn maker! 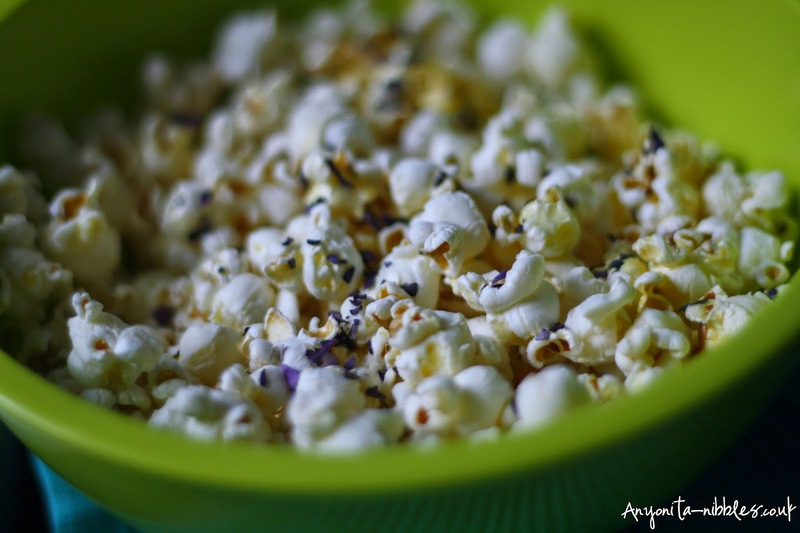 You don't need to add any oil or butter to make the popcorn, so unless you drizzle a bit of butter over top after you're all done popping, you can easily make fat free popcorn! If you do wish to finish your popcorn with a kiss of butter, simply melt the butter in the cradle while the popcorn pops. The heat from the machine melts the butter for you! Easy! 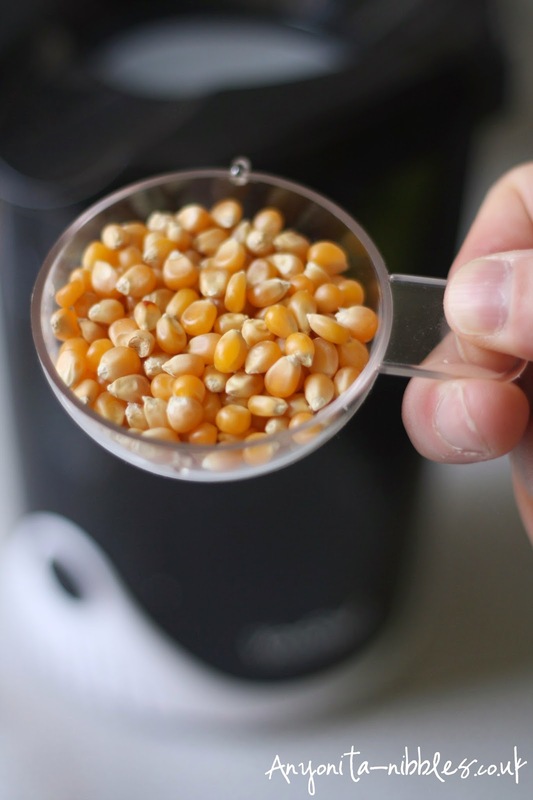 Scoop one cup of popcorn kernels in the measuring cup provided and place into the popcorn maker. Put the butter in the cup and place on top of the machine to melt. 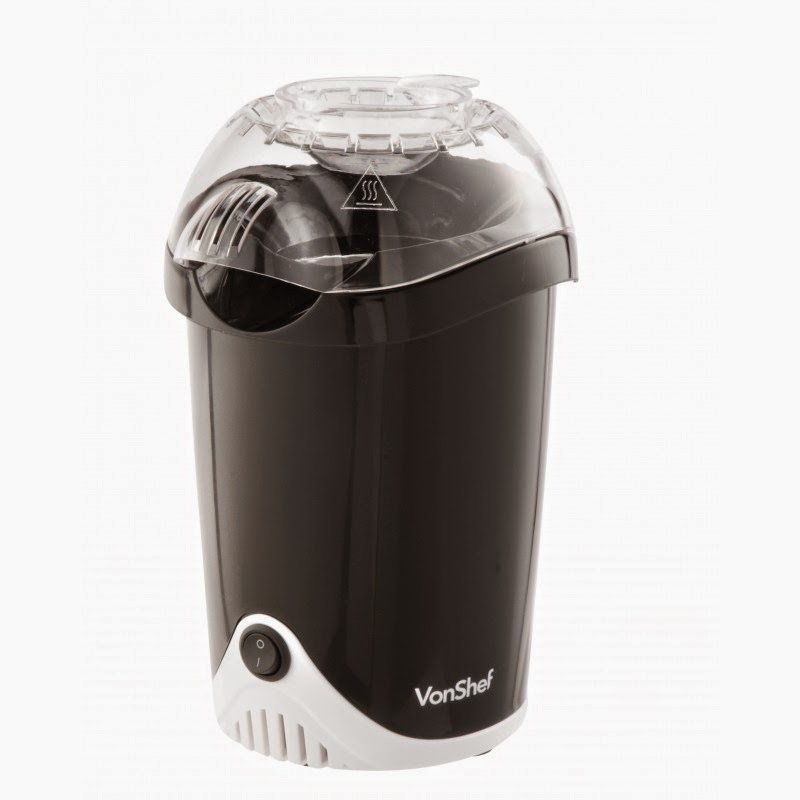 Turn the machine one and pop the kernels. Sprinkle immediately after popping with sea salt and parmesan cheese. Pour the butter over the pooped popcorn. 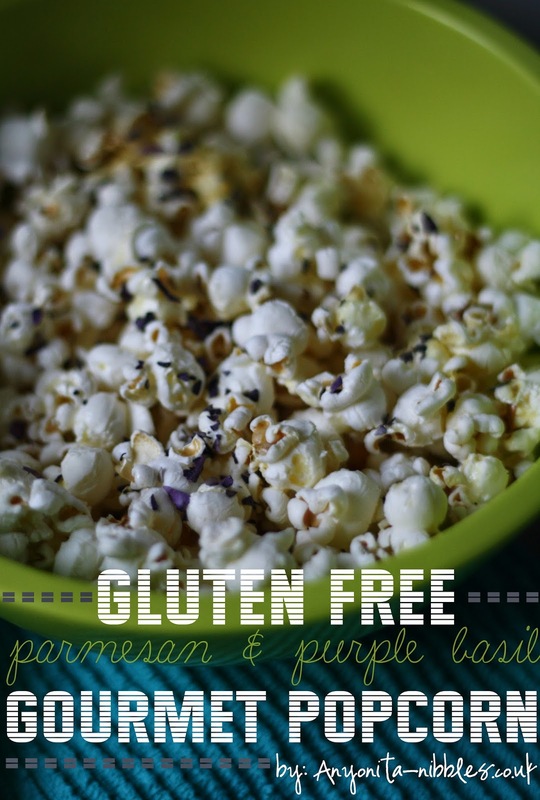 Toss with purple basil and enjoy!